Just how much taxpayers will recoup of the $700 billion set aside last fall to bolster companies hard hit by the credit crisis has been a matter of debate for more than a year. And because American International Group (AIG), the deeply troubled insurer that's 80%-owned by the U.S. government, has received such a big bailout, it has frequently been in the center of that debate. Surprisingly, however, Moody's Investors Service (MCO) now says AIG may be able to pay back much more of that government aid than first thought. 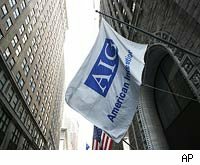 In fact, the credit-rating firm said in a report Tuesday that AIG will probably be able to repay all of the more than $180 billion it has received from taxpayers as well as buy back the government's stake in the company. That's sharp reversal from just a few months ago, when Moody's said that while partial repayment "is a real possibility," it was unlikely AIG would ever be able to fully repay the bailout funds it received. And it's at odds with a congressional report issued in September by the nonpartisan Government Accountability Office, which found it was "unclear" whether AIG would ever be healthy enough to return taxpayers' investment. Another report, released last month by the Treasury Department's special inspector general for the Troubled Asset Relief Program, or TARP, came to a similar conclusion. It found that AIG's woes were one of the main reasons the government was "extremely unlikely" to see the money it spent on bailouts repaid in full. What changed? For starters, AIG seems to have stopped the hemorrhaging when it comes to its quarterly results. Two straight profitable quarters, the first since 2007, have improved its prospects. "AIG is far from healthy, but the rate of deterioration of its underlying business units has slowed," wrote Rob Haines, an analyst with independent debt research firm CreditSights in a Nov. 6 note to clients. "It was encouraging to see another quarter that did not include any unexpected surprises." And Robert Benmosche, AIG's new CEO, is rebuilding some of its relatively sturdy insurance businesses that were previously slated to be sold. "We believe that the slower approach to restructuring could help AIG to generate more favorable values from its business portfolio than would be the case under rushed asset sales," Moody's said in its report, which isn't publicly available. The report sent AIG's shares up $1.65, or 4.6 percent, to $37.83 in mid-afternoon trading. It rose as high as $39.35 within minutes of the opening bell on the news.